More of the same for now, but can we expect a new Wii soon? "No DVD for you" says Nintendo to its favourite son, the Wii. The half dozen or so Wii owners who don't already have a DVD player at home may be disappointed to hear that Nintendo has just admitted it can't make good on its promise to enable DVD playback on the console this year. The rest of us, however, might be curious about what exactly is going on. 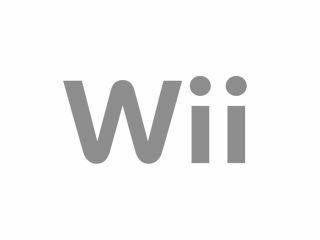 The announcement - if we can call it that - came on a low-key FAQ section of Nintendo's Japanese Wii site and simply said that the promised DVD Wii wouldn't be possible this year due to the need to ensure sufficient supplies of the original Wii. Although there was no denial of a new Wii sometime next year, this doesn't mean that a redesigned console is on the cards. What is most likely is that Nintendo will add DVD playback firmware to new consoles once its factories have caught up with retailer orders they already have. After all, if Nintendo doesn't add the DVD solution from US firm Sonic that it has already made public, then it might just look a little silly. As for an all-new Version 2 of the Wii, there's no reason at all to suppose that anything is imminent - sorry to disappoint.